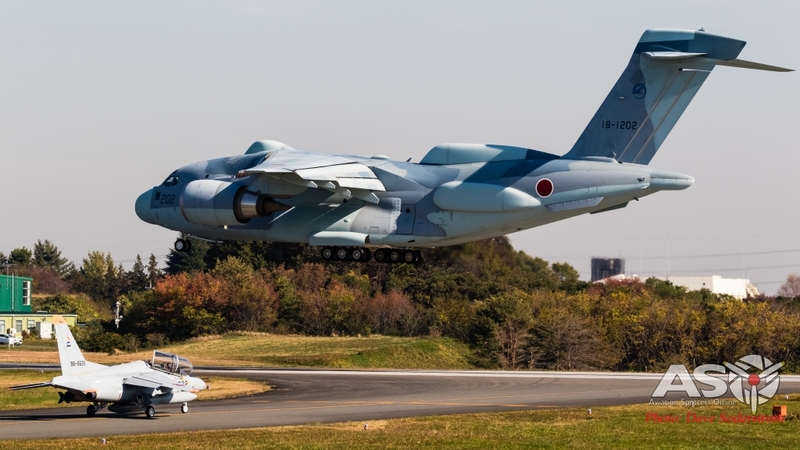 Japan is a major military force in the region and to this day continues to design and develop it’s own indigenous aircraft to suit its operational requirements. 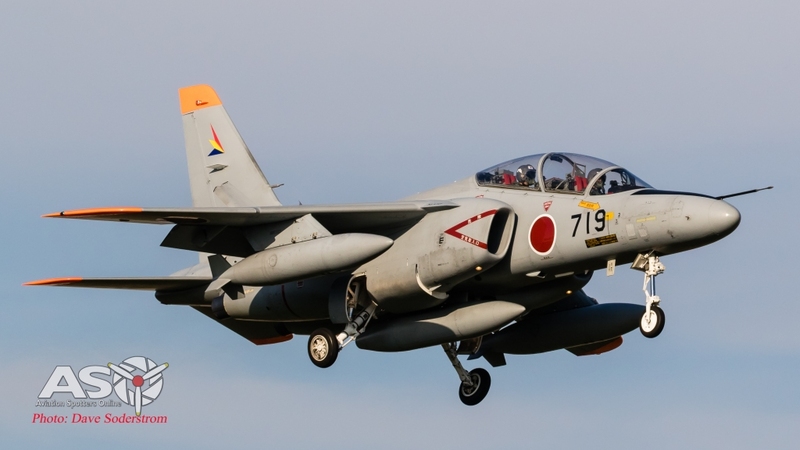 The Japan Air Self-Defense Force (航空自衛隊 Kōkū Jieitai), JASDF, also referred to as the Japanese Air Force, is the air warfare branch of the Japan Self-Defense Forces, responsible for the defense of Japanese airspace and for other aerospace operations, including and not limited to transport, humanitarian and disaster relief. 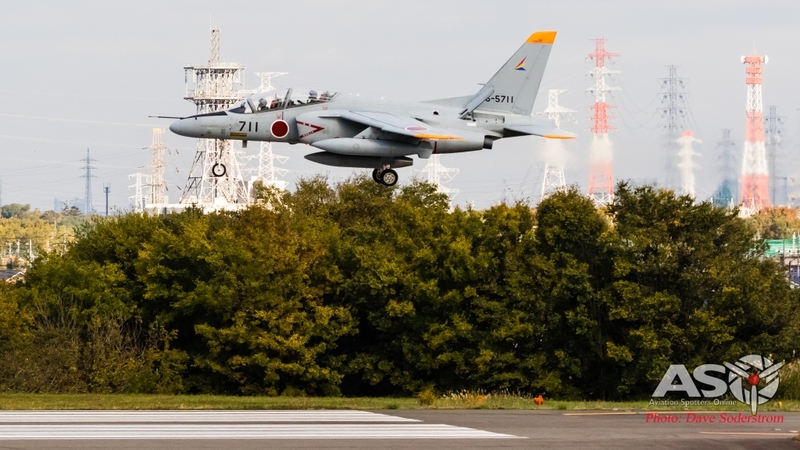 The JASDF had an estimated 50,324 personnel and some 777 aircraft in its arsenal. Currently they operate type which includes. Our first stop on the tour was to Iruma Air Base or 入間基地, Iruma-kichi. 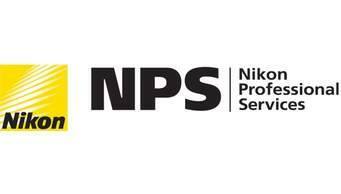 The base is located in the city of Sayama, Saitama Prefecture, north of western Tokyo, Japan. 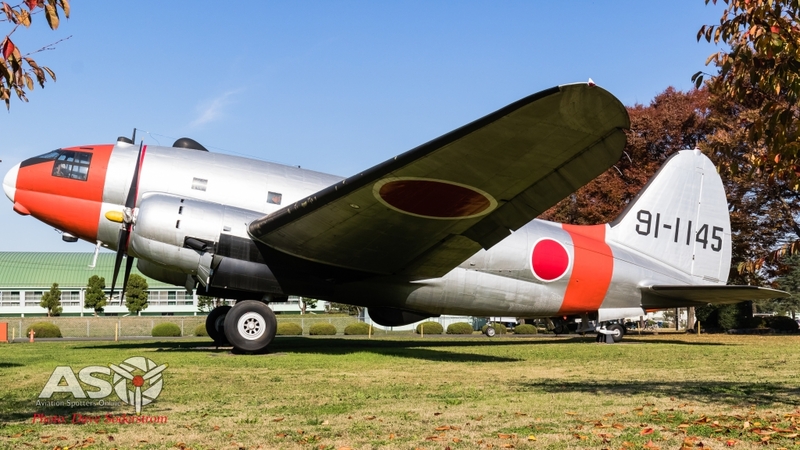 Some history on the base, the airfield was used by the Imperial Japanese Army Air Force Academy until 1945. After this it became Johnson Air Force base of the United States Air Force, during and after the occupation of Japan. Today Iruma Air Base is home to the Air Defence Command Headquarters Flight Group. 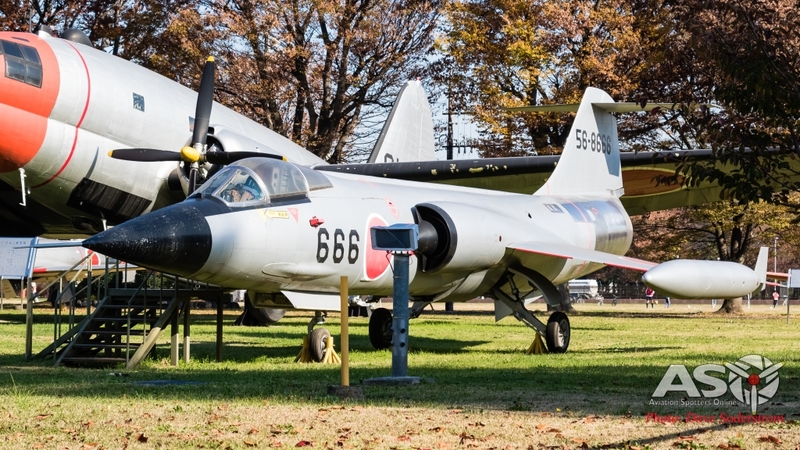 The variety of aircraft located at the base include the Grumman U-4, NAMC YS-11, Kawasaki T-4 and Kawasaki C-1. This report takes in two days of action at the base. 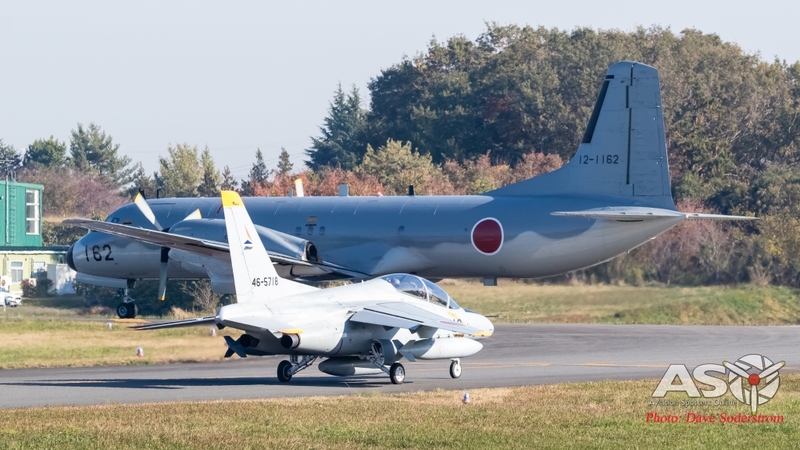 The big and the small of the JASDF, A T-4 holds as the very impressive EC-2, practices take off and landings. 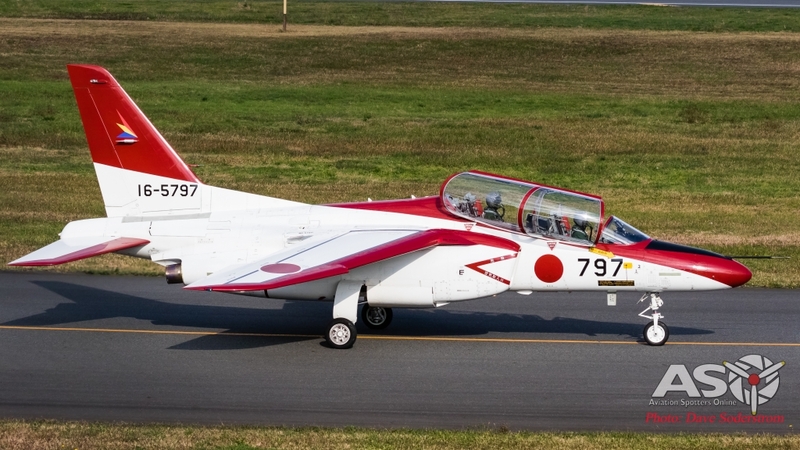 Kawasaki T-4 16-5797, was the first T-4 we saw on the first day at the base. 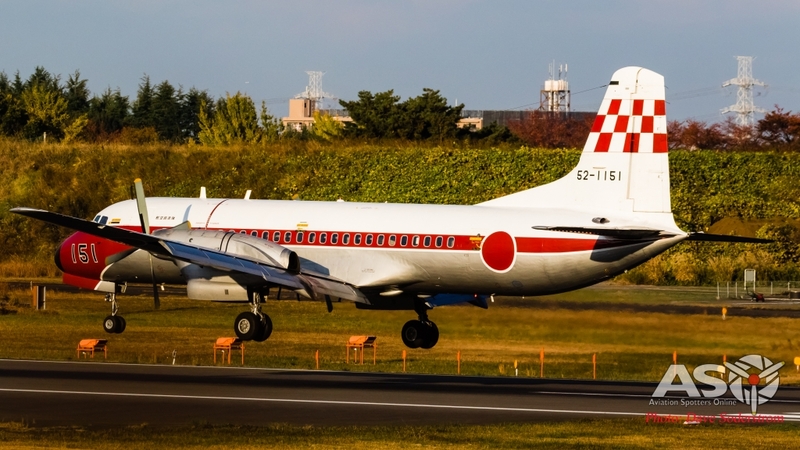 It was in the very attractive red and white livery, from the Sotai Shireibu Hikotai. 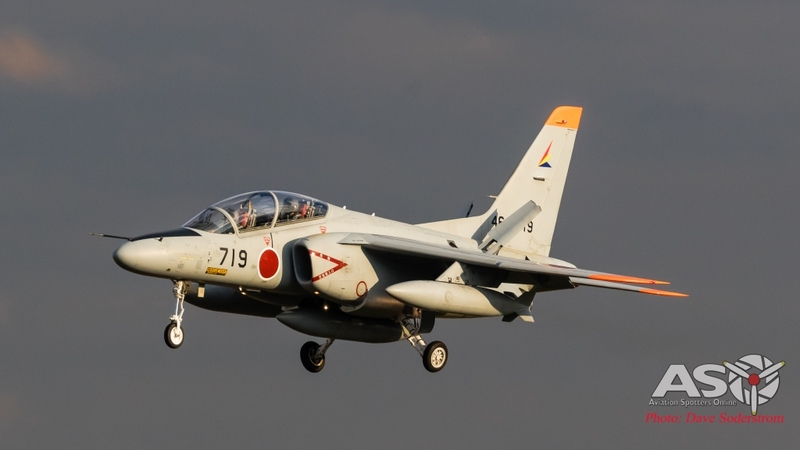 In November 1981, Kawasaki was selected as the main contractor to design and produce an aircraft relating to the MT-X program. 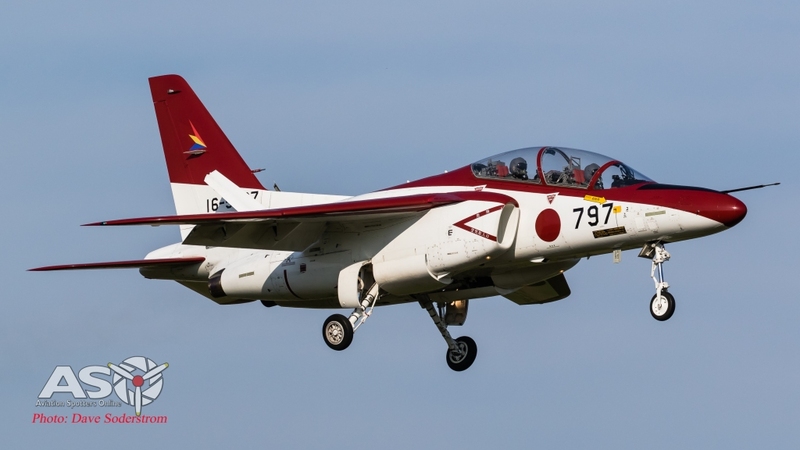 This program was launched to replace the Lockheed T-33 and Fuji T-1 jet trainer aircraft in service in the Japan Air Self Defense Force. The initial program planned a run of 220 aircraft and entry into service in 1988. 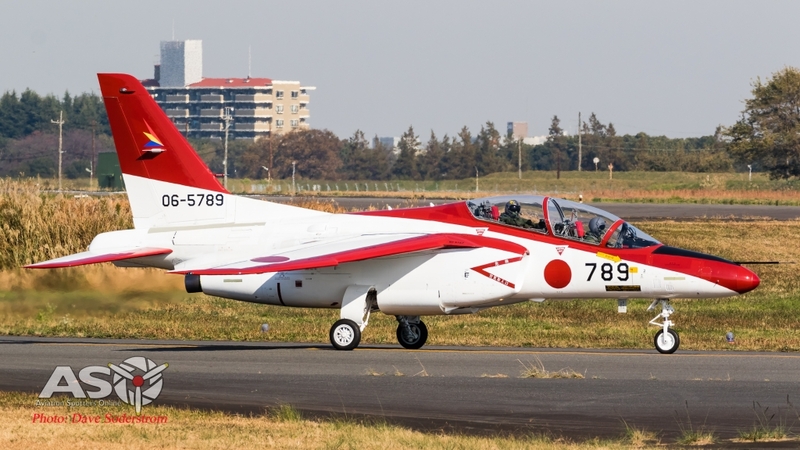 The first production T-4 flew on 28 June 1988 and deliveries to the JASDF began in September 1988. Some 208 aircraft were eventually delivered. Photography at the base is fantastic, you over look the entire runway. Spotters out spotting. A ladder is a good option at this base, and you wont be told off for using it. 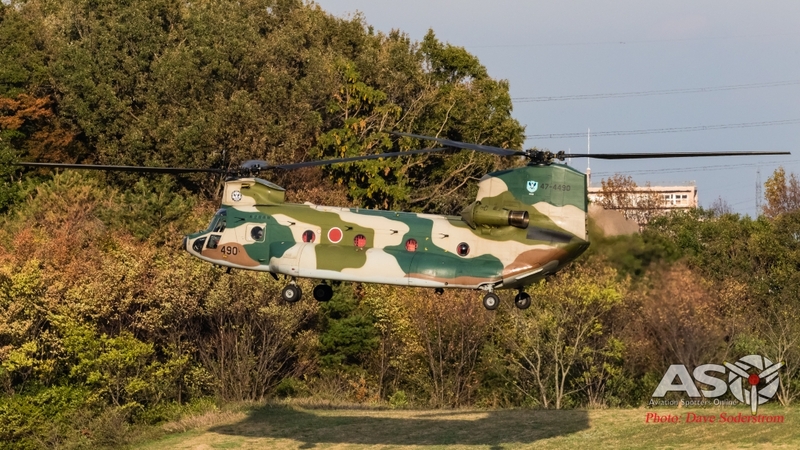 Kawasaki built Boeing CH-47J, 47-4490 arrives back at the airfield. 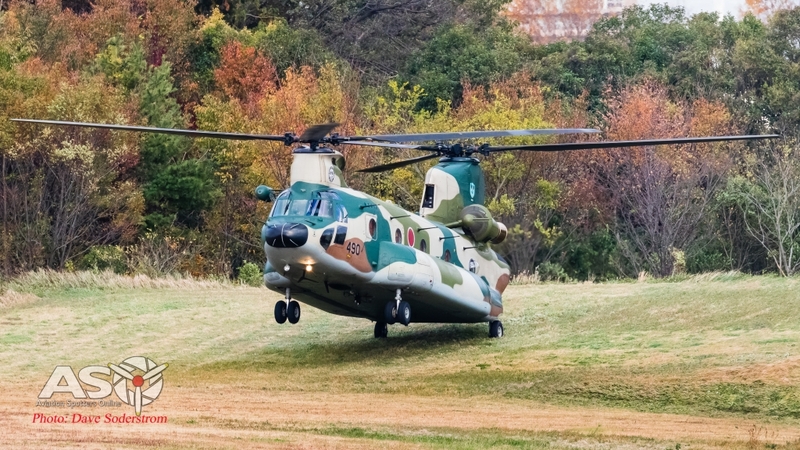 The CH-47J crew then proceeded to do some crew training on a sloping landing area. 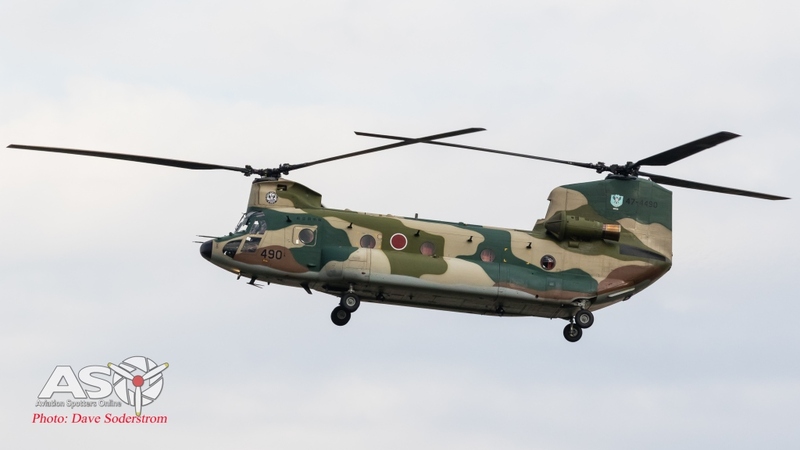 The CH-47J is used by both the Japan Ground Self-Defense Force (JGSDF), and the Japan Air Self-Defense Force (JASDF). 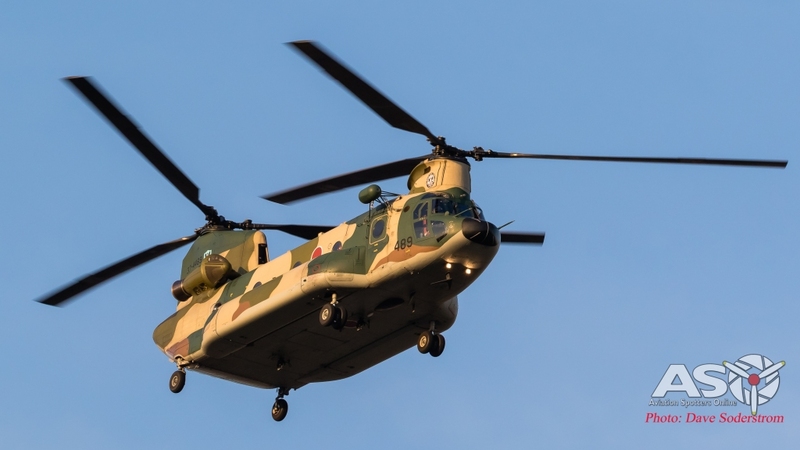 The differences between the CH-47J and the CH-47D are the engine, rotor brake and avionics, for use for general transportation, SAR and disaster activity like U.S. forces. 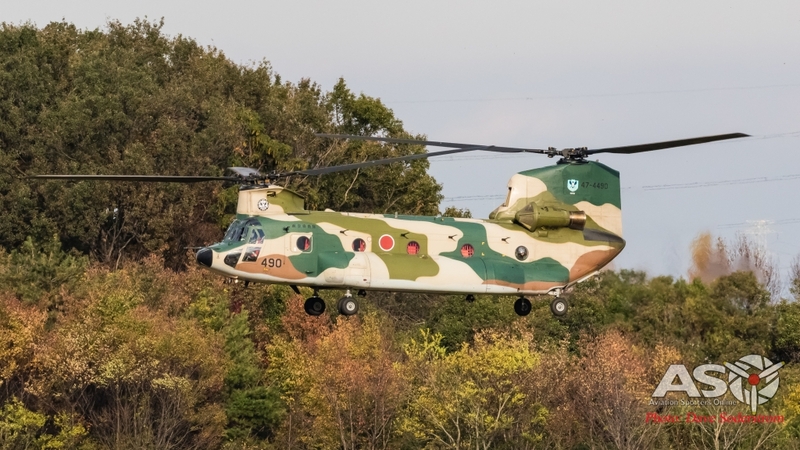 The CH-47JA, introduced in 1993, is a long-range version of the CH-47J, fitted with an enlarged fuel tank, an AAQ-16 FLIR in a turret under the nose, and a partial glass cockpit. 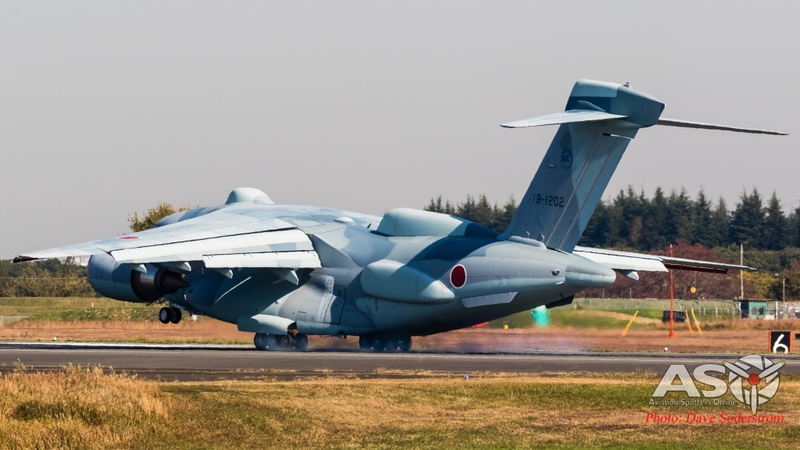 Both versions were built under license in Japan by Kawasaki Heavy Industries. 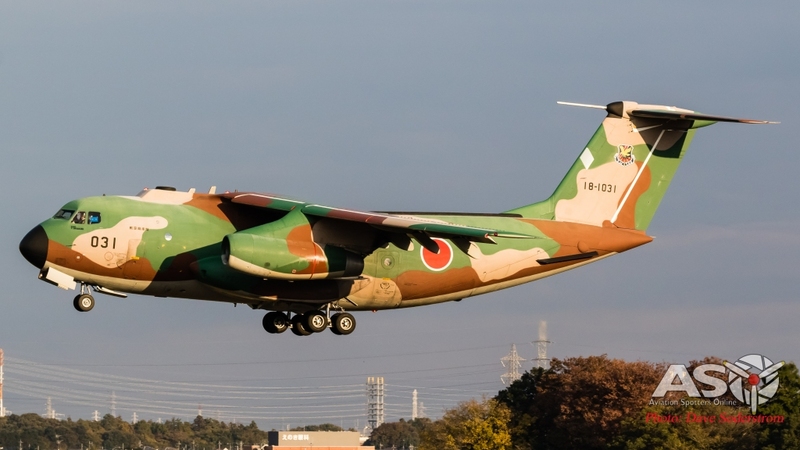 The Japan Defense Agency ordered 54 aircraft of which 39 were for the JGSDF and 15 were for the JASDF. 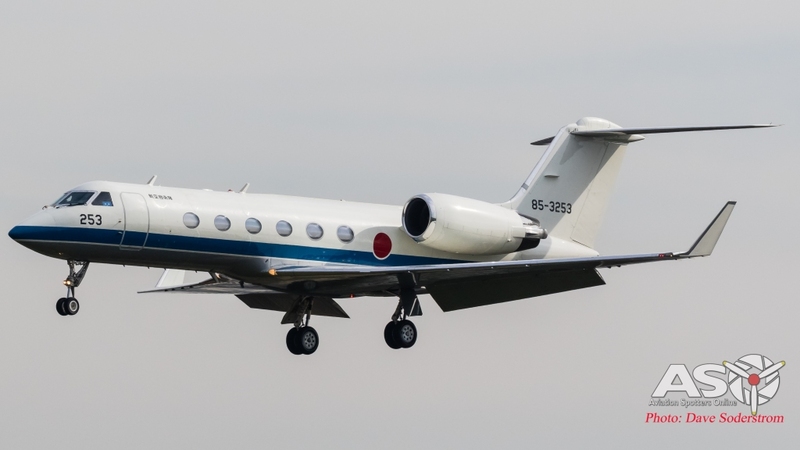 Boeing supplied flyable aircraft, to which Kawasaki added full avionics, interior, and final paint. 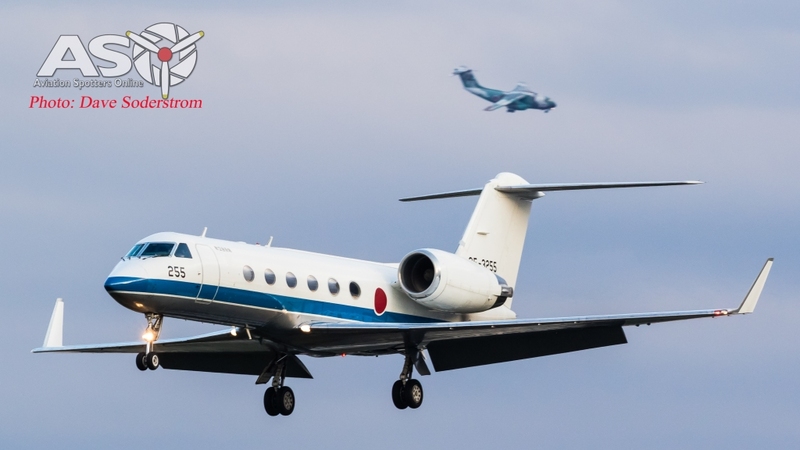 The Air Rescue Wing (航空救難団 (koukuukyuunandan)) is a wing of the Japan Air Self-Defense Force. 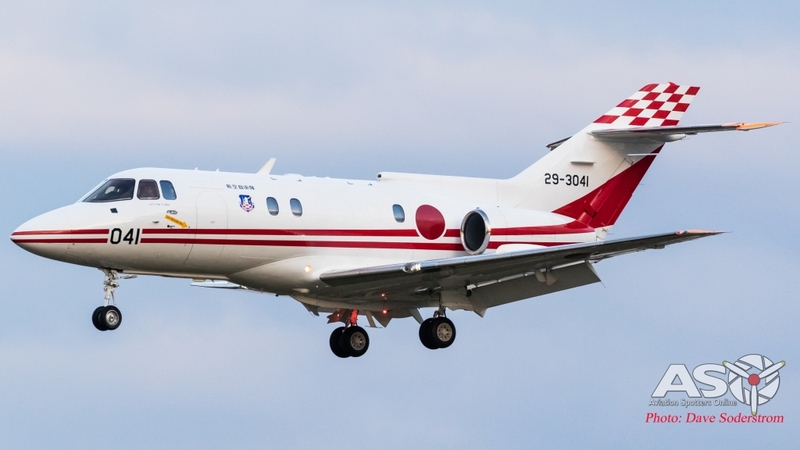 Responsible for airborne search and rescue, it is based at Iruma Air Base. 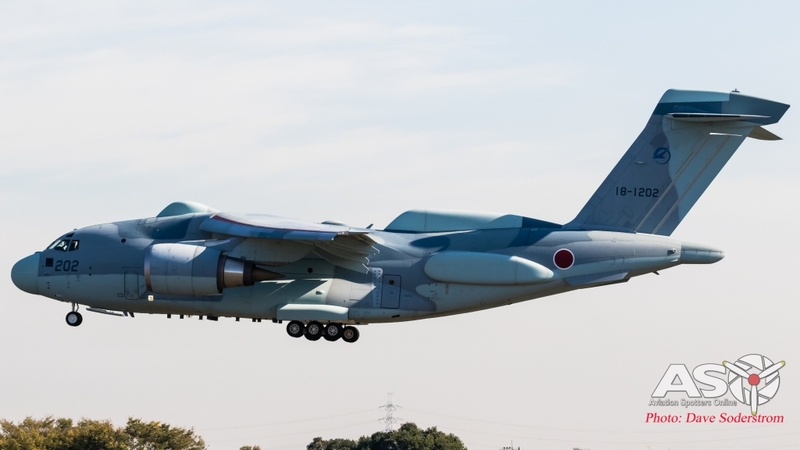 It controls squadrons and detachments across Japan. Effective camouflage for this time of year. We arrived mid afternoon to a busy and very active day at the airport. 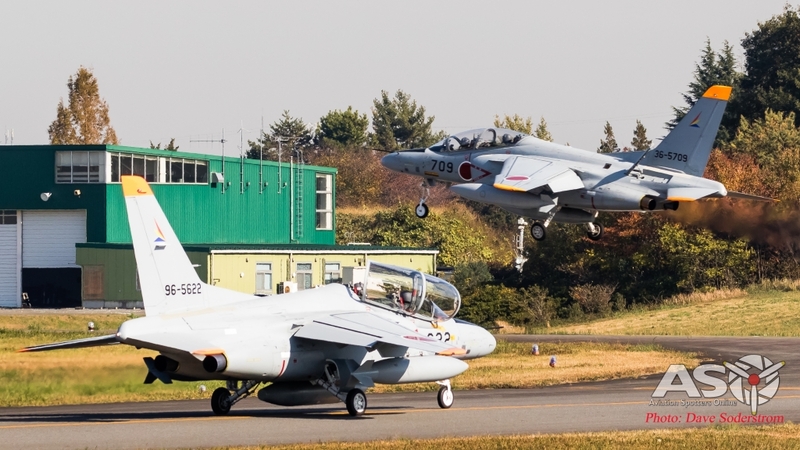 T-4s, YS-11’s, C-1 and U-4s were all out and about at the base. 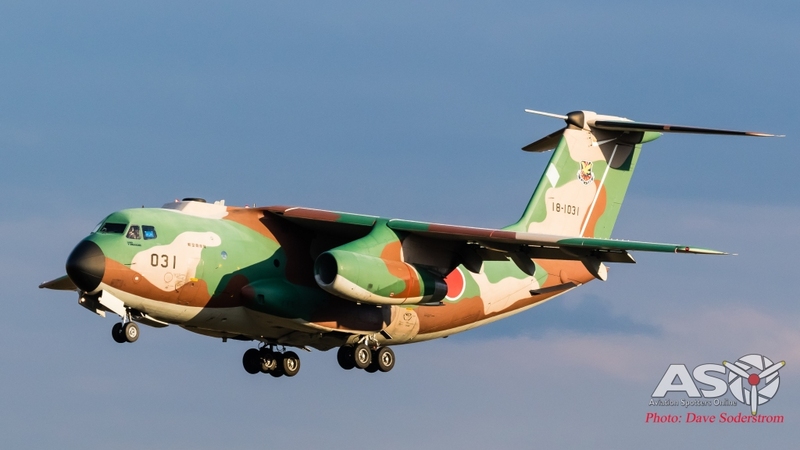 Add in a visit from C-130s and it was a perfect mix of interesting and colourful types. 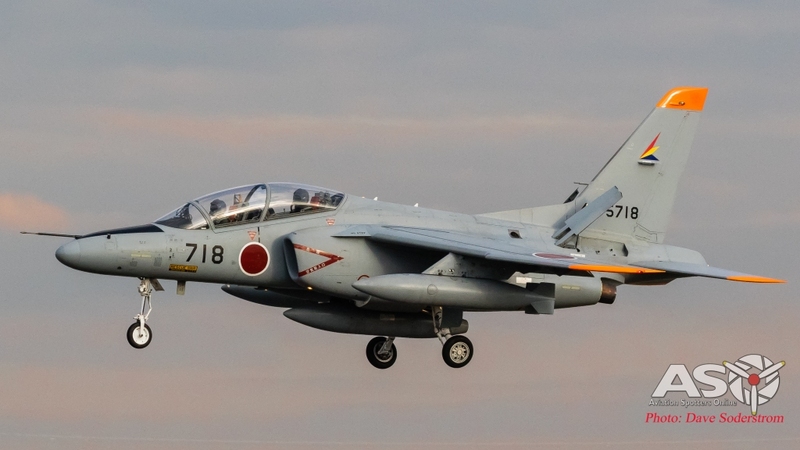 Kawasaki T-4 serial no- 46-5718 flown by the Shien Hikotai (Support Squadron) on landing. 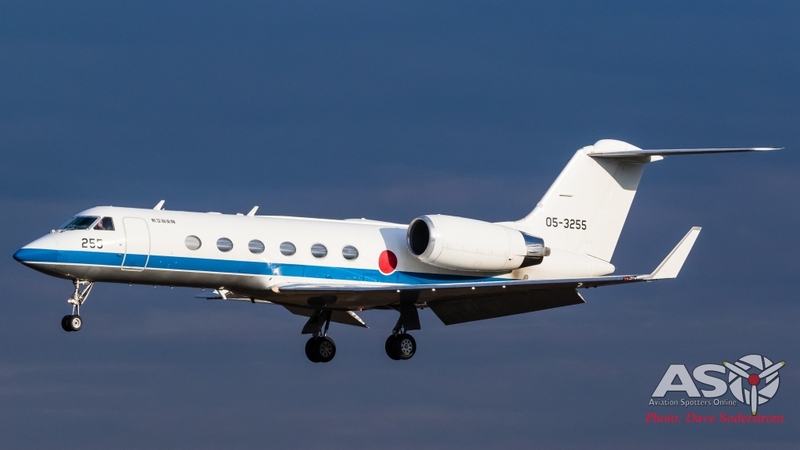 Five Gulfstream G-IVs are operated under the designation U-4. 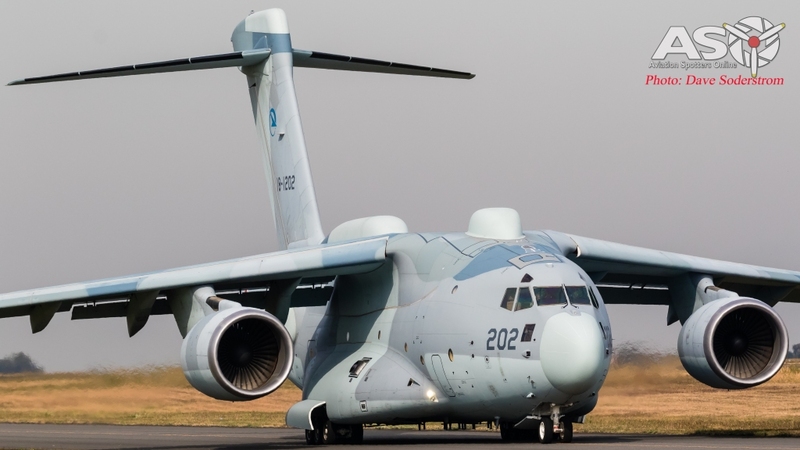 These aircraft were modified to incorporate a large cargo door and can move palletised cargo and passenger mixes similar to the C-20G aircraft operated by the U.S. Navy and Marines. 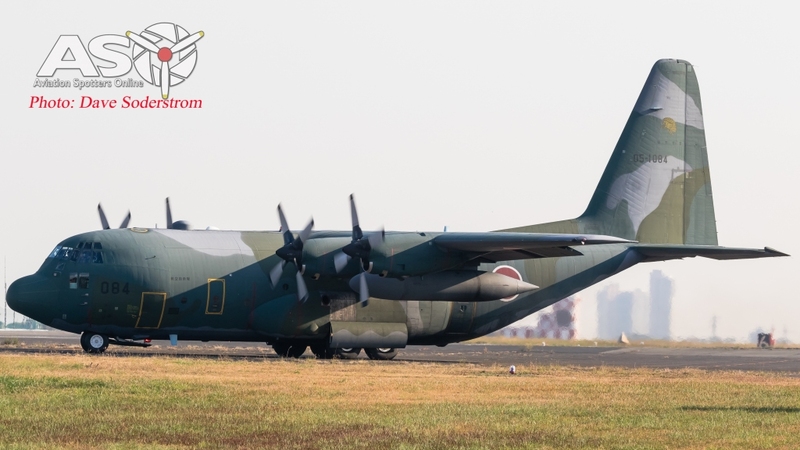 The first C-130H for the trip was serial no- 05-1085. The type is flown by the 401 Hikotai. 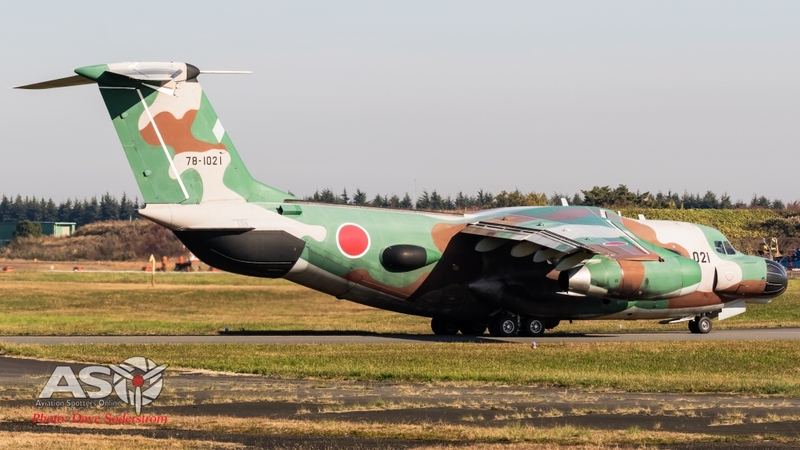 Looking pretty good for an aircraft that was delivered to the JASDF in 1985. 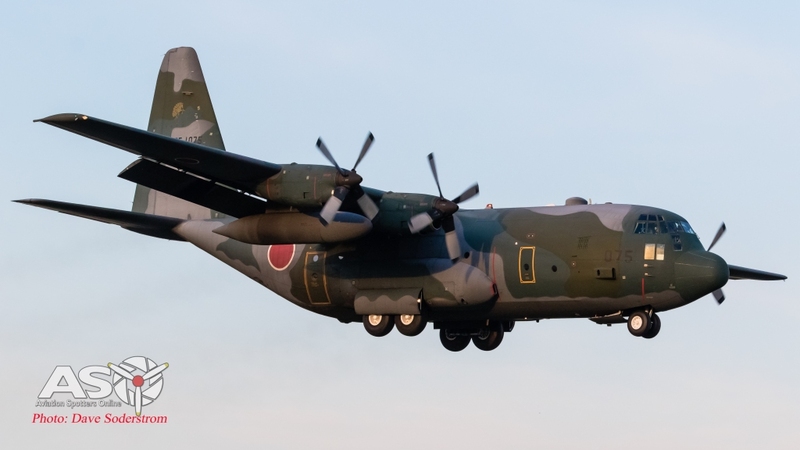 The JASDF ordered sixteen examples of the Lockheed C-130 in the H version. 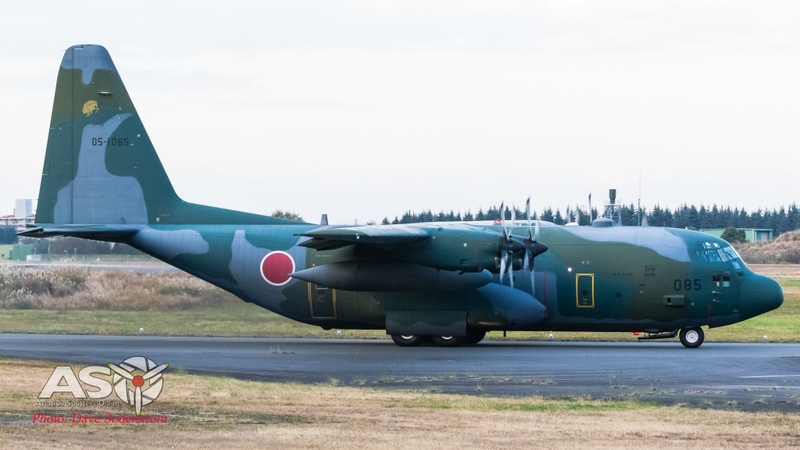 Operated by the 401 Hikotai based at Komaki Air Base south west of Tokyo. 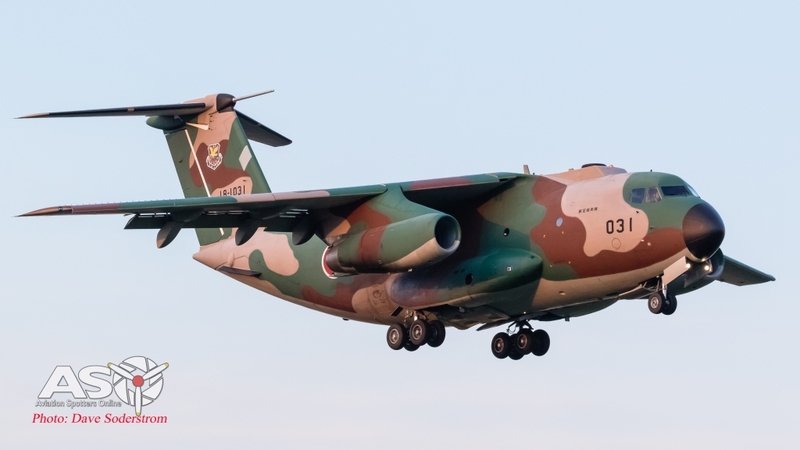 They augment the C-1s based at Iruma. 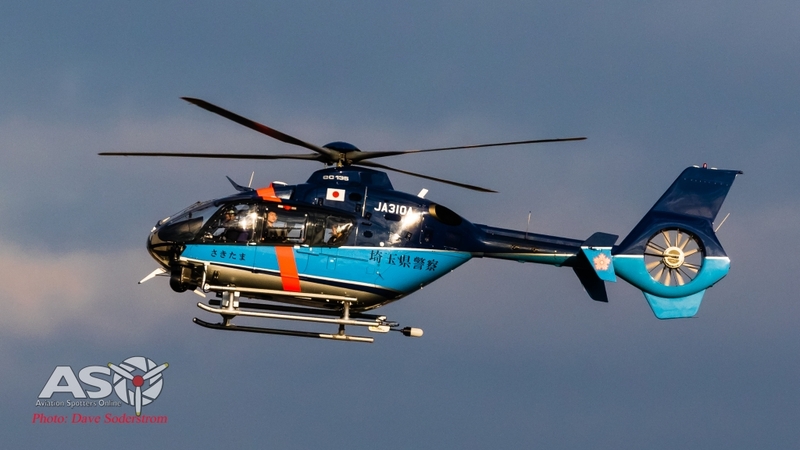 Based at Iruma is this, Saitama Prefecture Police Department, Eurocopter EC 135/635 seen on approach to its base. 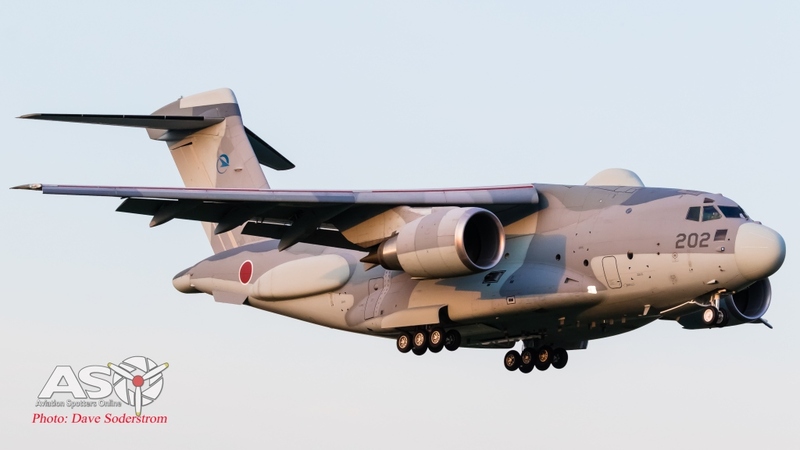 Kawasaki C-1A 18-1031 in some fantastic evening light. What a performance from these old gals! the noise and smoke on repeated departures made for some very impressive action! 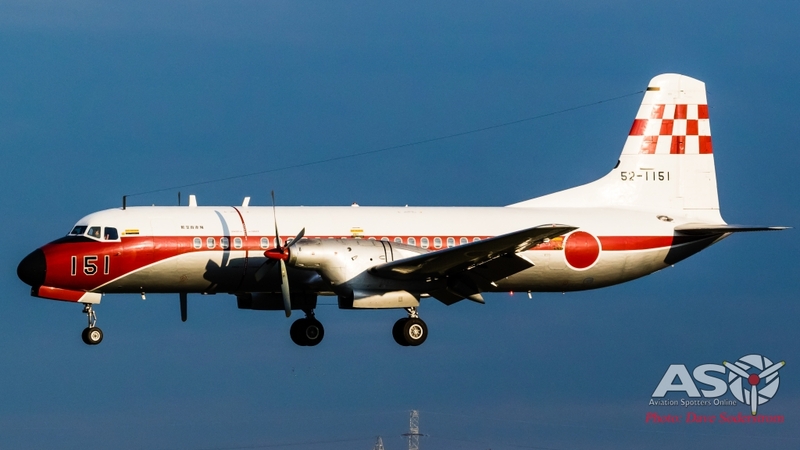 Operated by the 402 Hikotai, this was one very active squadron over the few days! 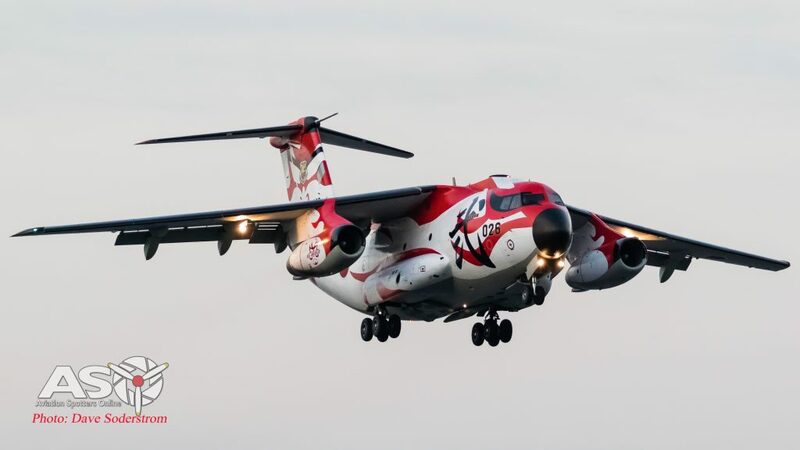 A type rapidly approaching retirement is the indigenously designed NAMC YS-11. 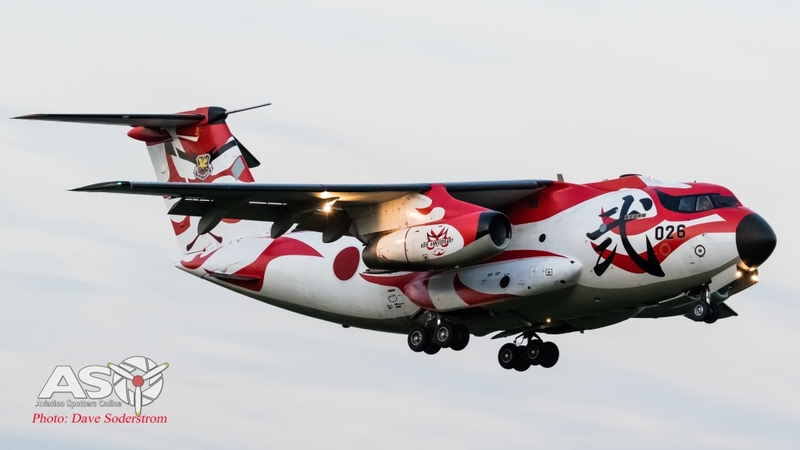 The YS-11 is a turboprop airliner built by a Japanese consortium, the Nihon Aircraft Manufacturing Corporation. Powered by the Rolls Royce dart engine, some were later converted to with license-built General Electric T64-IHI-10J engines.The program was initiated by the Ministry of International Trade and Industry in 1954, the aircraft was rolled out in 1962, and production ceased in 1974. 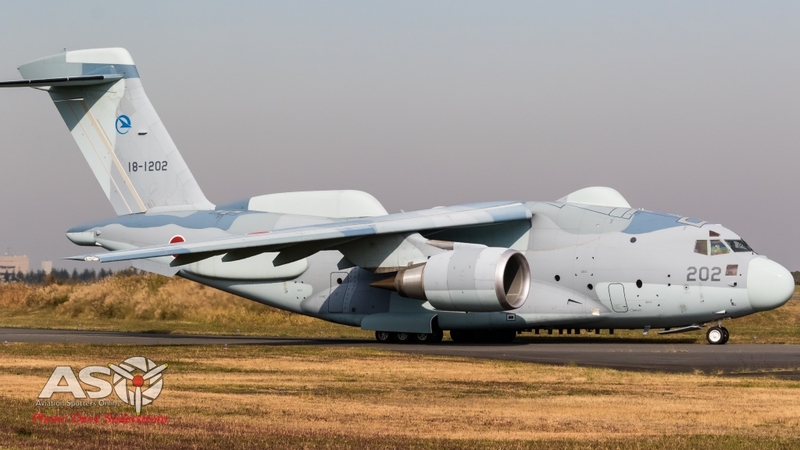 The YS-11 was produced at a loss, and was the only airliner wholly designed and manufactured in Japan until the development of the Mitsubishi Regional Jet. Approximately 8 are still in service used for light checks and other purposes. 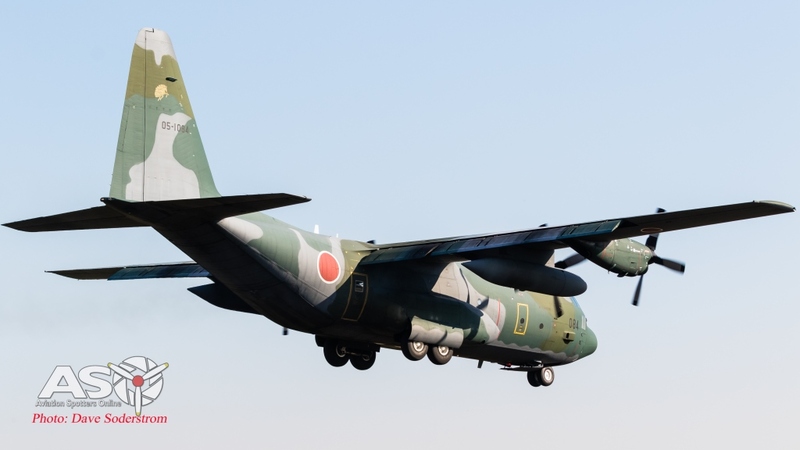 YS.11FC 52-1151, from the Hiko Tenkentai, Flight Check Squadron. 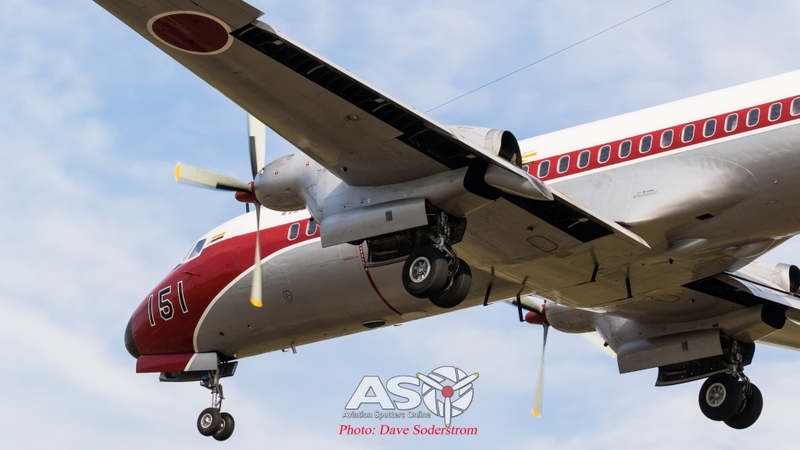 Those classic lines of the NAMC YS-11. 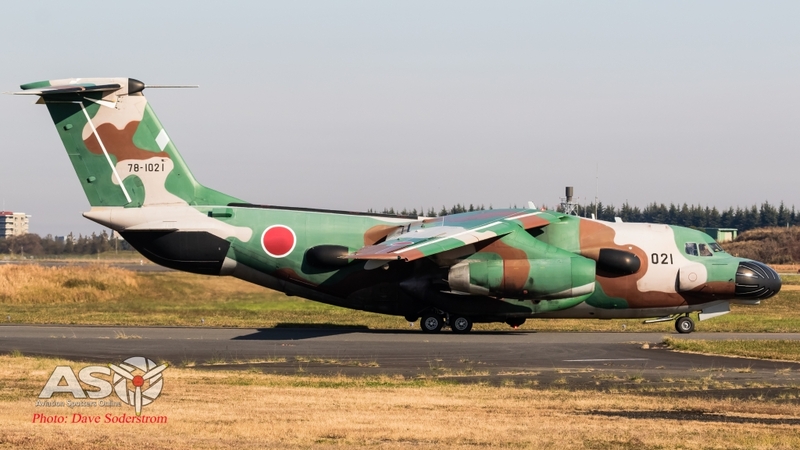 The roar of the 1960’s returned soon enough as the C-1As powered by the Pratt & Whitney JT8D-M-9 (Mitsubishi built) low bypass turbofans from, the 第402飛行隊 (402nd Tactical Airlift Squadron dai402hikoutai) returned to the base. It is the sole squadron of the 2nd Tactical Airlift Group. 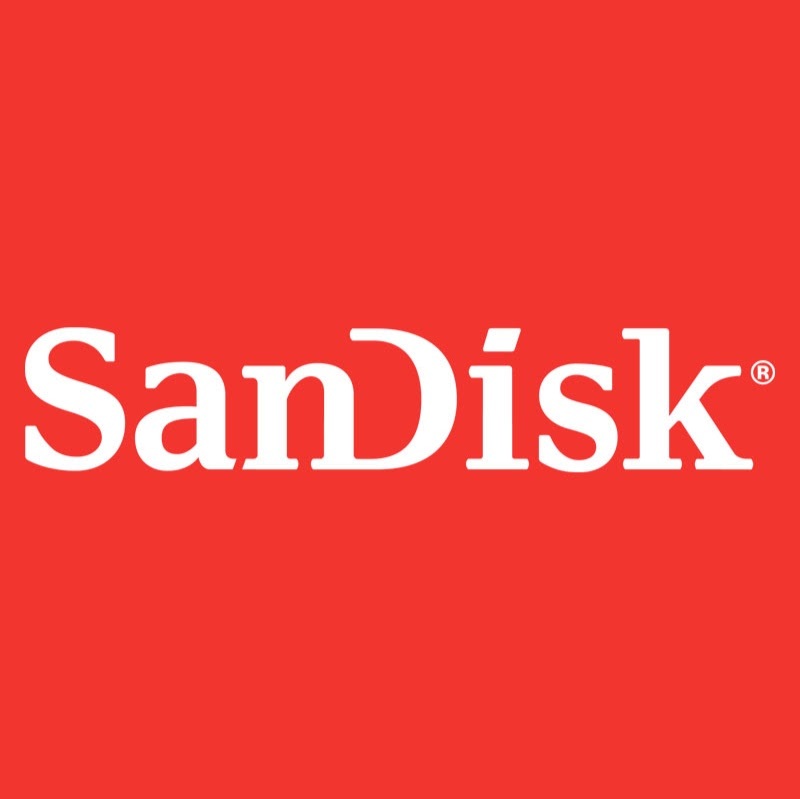 Thirty one examples were manufactured and all were delivered by 1981. Some great tight patterns were flown by the U-4 and C-1s. C-1A 68-1019 returns from a mission. Followed by 08-1030. The U-4 comes in again for another touch and go. 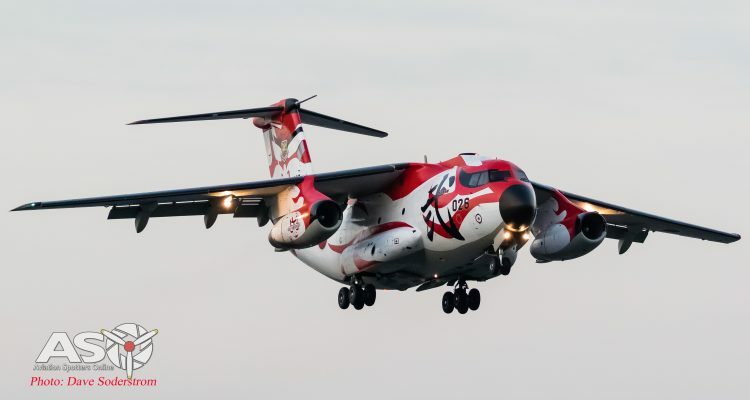 Watching the C-1s perform single engine climb outs was very impressive. 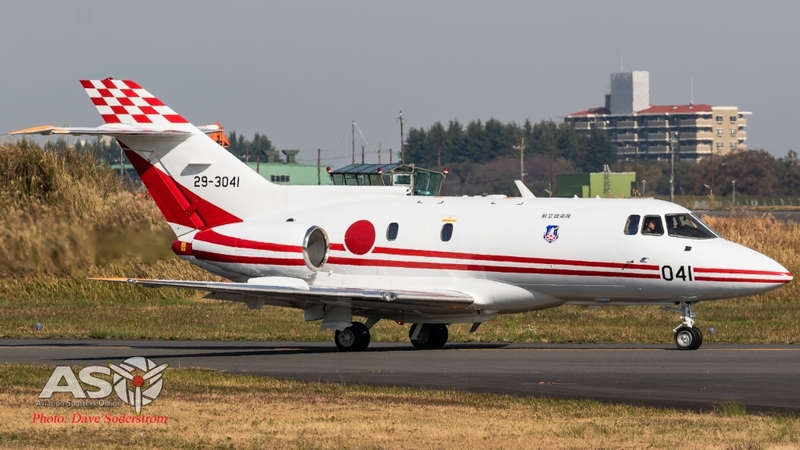 U-125A 29-3041 operated by the Hiko Tenkentai, Flight Check Squadron. 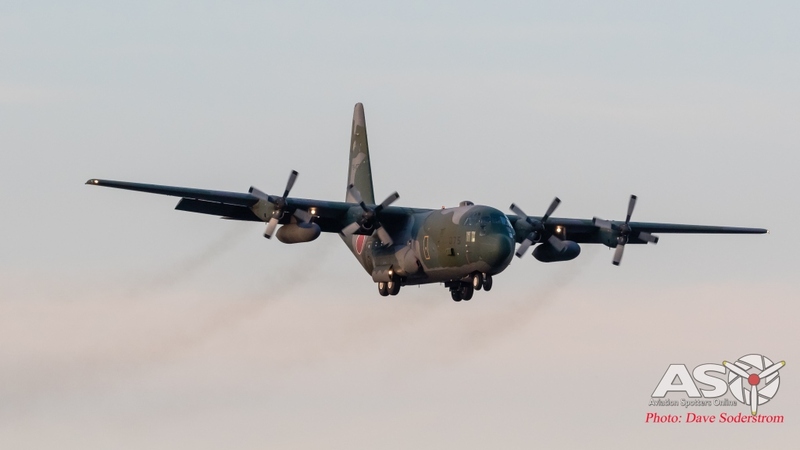 C-130H 05-1085 taxies out at the end of the day. The sound of four T-56s in stereo, music to anyone’s ears. The next day, was just as busy as the first. 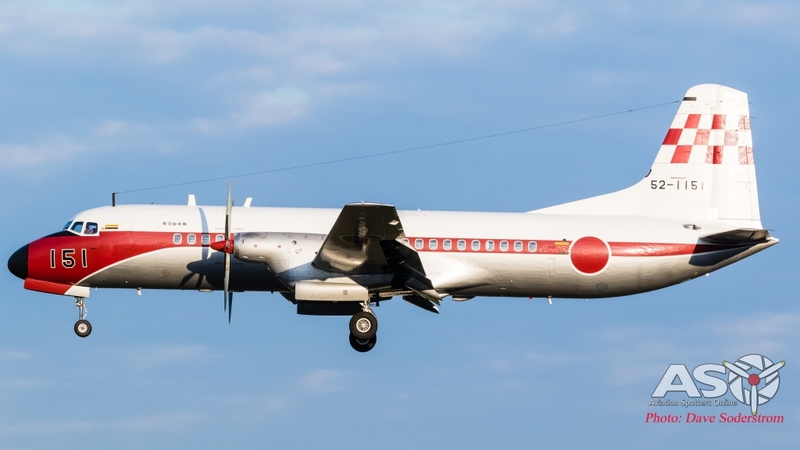 The next day aircraft were up early, some the first up included NAMC YS-11 12-1162. Quickly followed by T-4 46-5718. A huge highlight for me was seeing this very unique version of the C-1A. 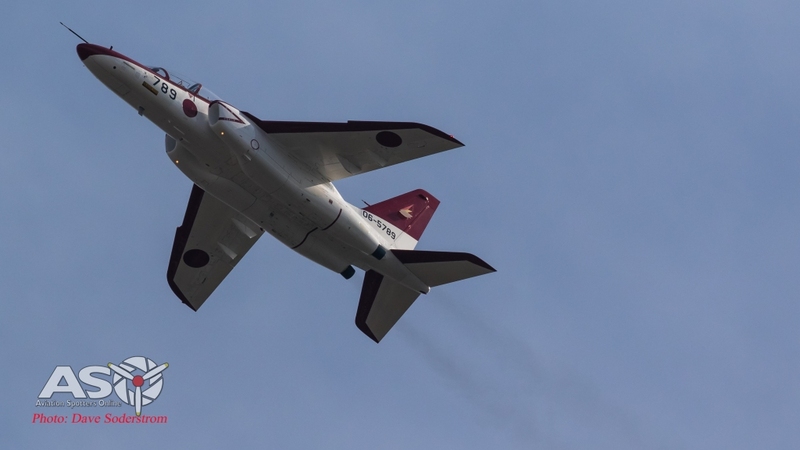 The one and only EC-1A flown by the Electronic Warfare Squadron (電子戦訓練支援機 denshisenkunrenshienki). It operates under the authority of the Air Tactics Development Wing. 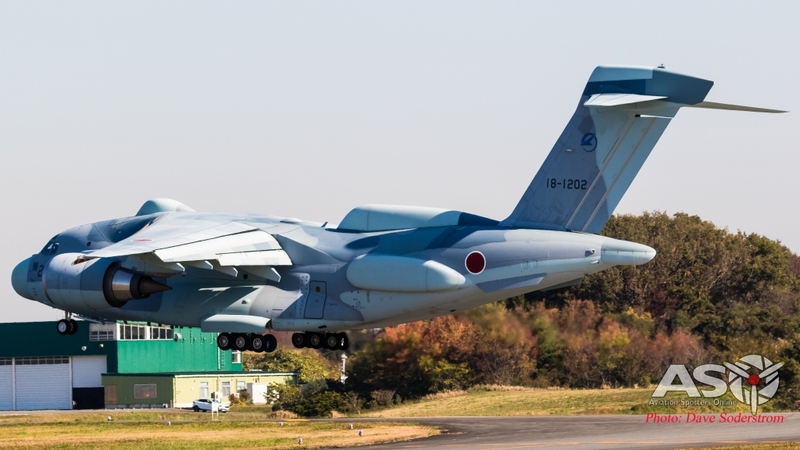 The squadron operates both the Kawasaki EC-1 and YS-11EB aircraft. 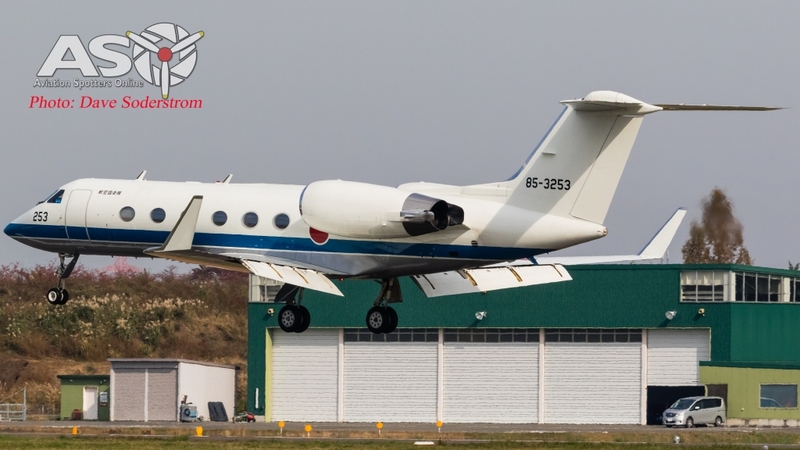 In March 1983 Defence Agency contract awarded to Kawasaki, saw them modify the 21st production C-1 for use as an ECM training aircraft. 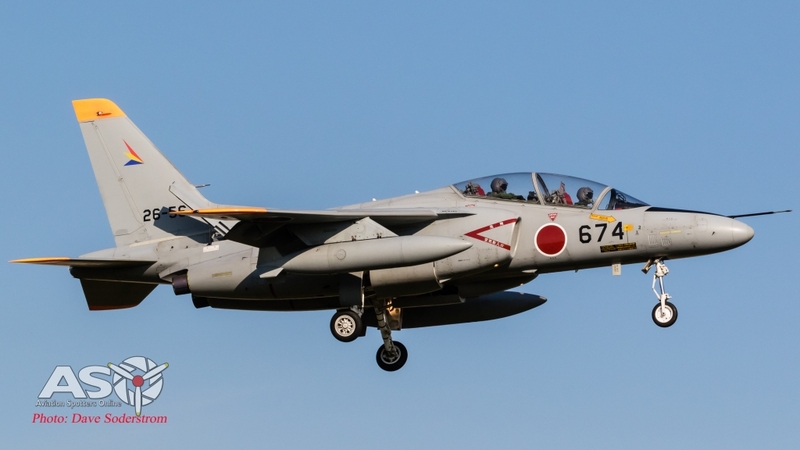 Known as the EC-1, it first flew on December 3, 1984 and was handed over to the JASDF’s Air Proving Wing in late January 1985 for evaluation. 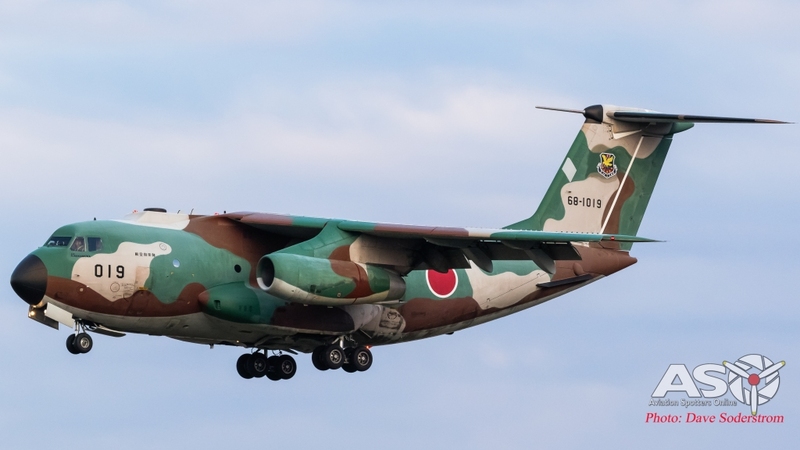 In June 1986 the EC-1 was transferred to the JASDF’s Electronic Warfare Training Unit. More lumps and bumps then an adolescent teenager with acne. The EC-1’s replacement is well and truly under development. The Kawasaki EC-2 was out most of the day. The aircraft is very, very impressive. 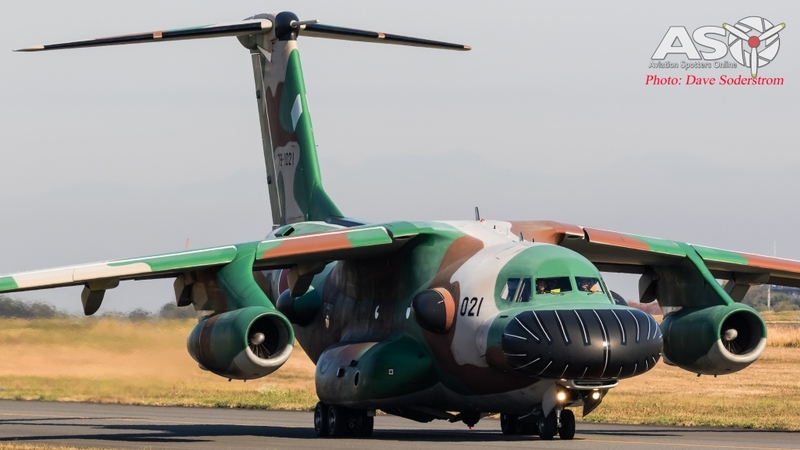 The aircraft, a heavily modified C-2 tactical transport aircraft with a modified nose section and large fairings top of the tail, fuselage and sides, as well as several antennas underneath the fuselage, is serialled 18-1202. Only one is currently on strength. The T-4s head out for the days missions. These were very active through out the entire day. 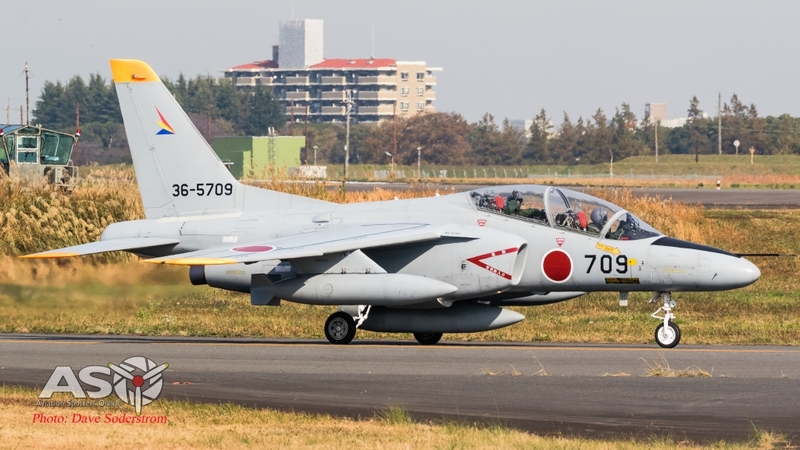 Shien Hikotai (Support Squadron) T-4s based at Iruma Air Base. 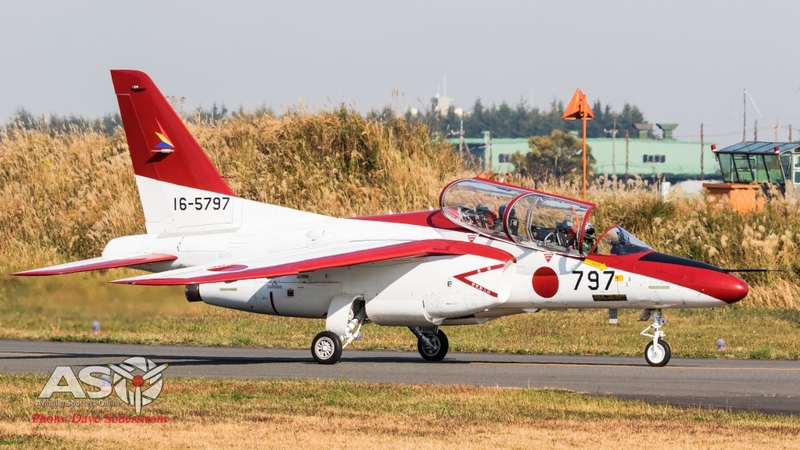 T-4 36-5709 taxies out for another mission. T-4 06-5789 taxies out for a mission. 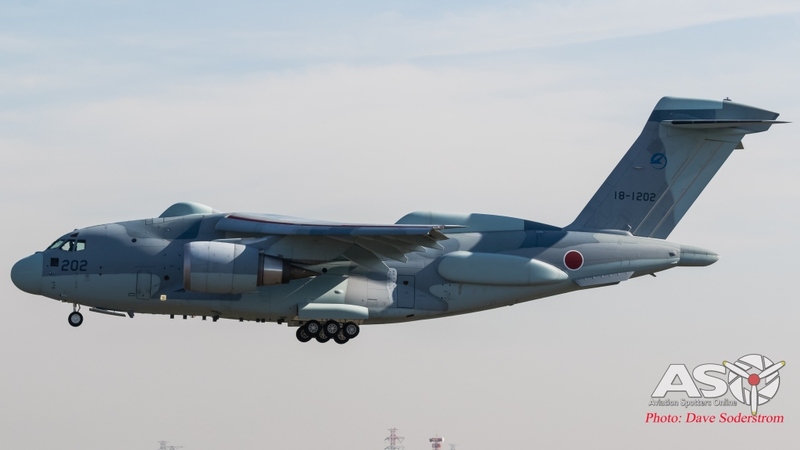 The Flight Check Squadron at Iruma also operates three NAMC YS-11FCs, serial no 52-1151 passes over the top of the runway. 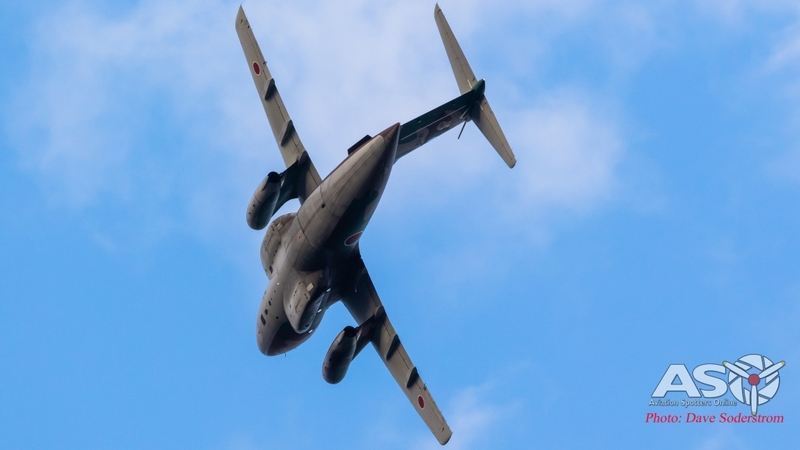 The sight and sounds of the YS-11 as it passed over head was something I’ll never forget. U-4 85-3253 lines up for another landing. The morning sun was doing its job as the EC-2 again prepared to head out again. The two General Electric CF6-80C2K1F engines, produce 59,740 lbf (266 kN) each. Around lunch time I headed off to see the gate guardians at the base. Access inside of them isn’t able to be sorted unless arranged prior. However the road parallel to them allows for good photos to be taken. 91-1145 is an EC-46D variant of the Commando. Notice the radome features on top and below the aircraft. 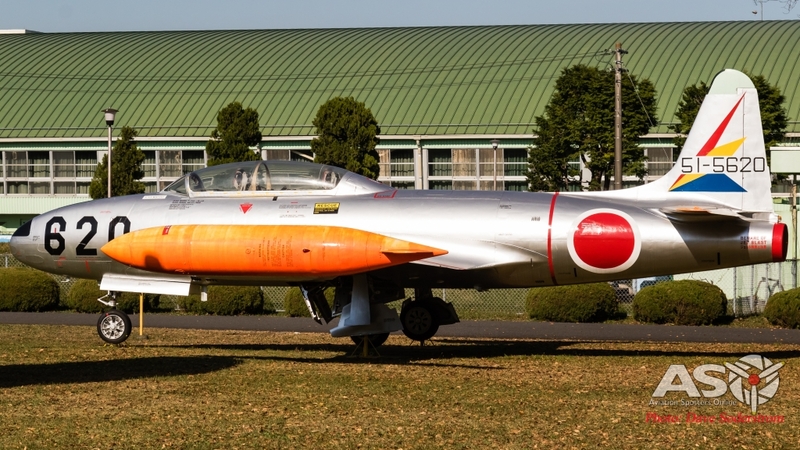 Constructed as a F-104J by Mitsubishi, s/n 56-8666. 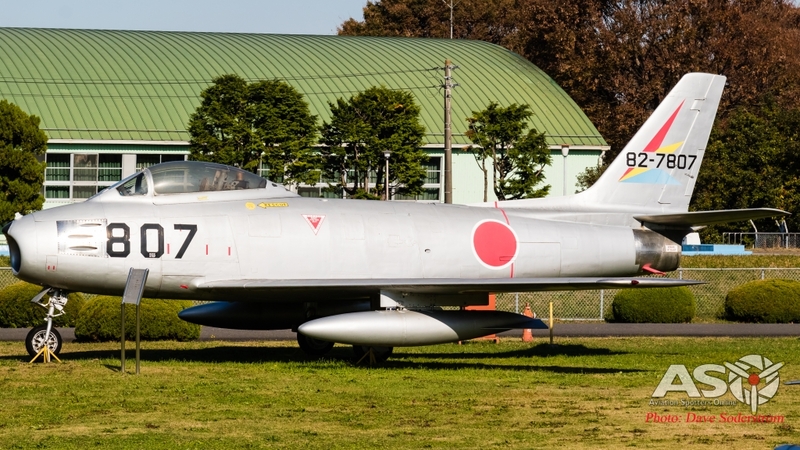 Kawasaki built Lockheed T-33A 51-5620. 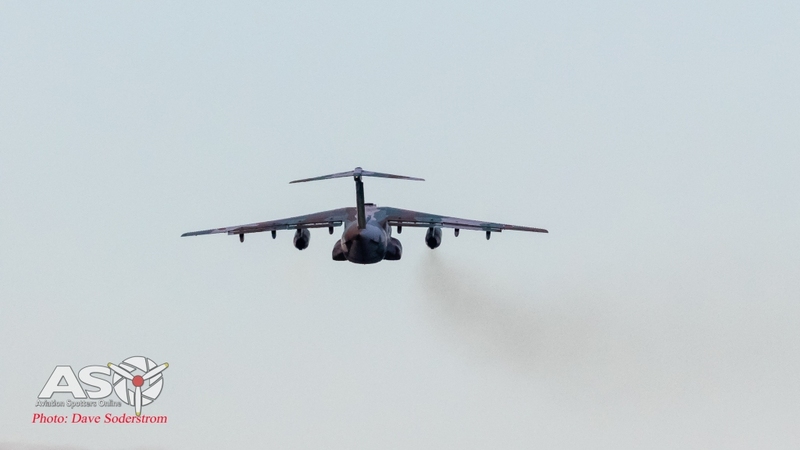 From about 15:00 hours the activity got intense as aircraft kept coming and going at the base. 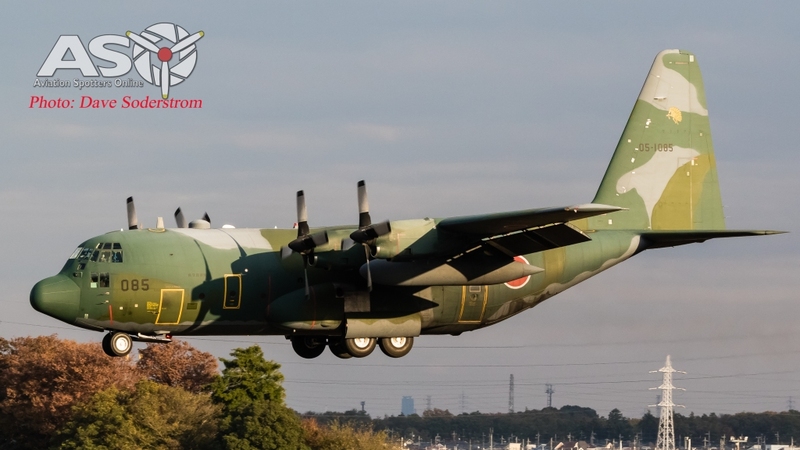 C-130H 05-1084 arrives. 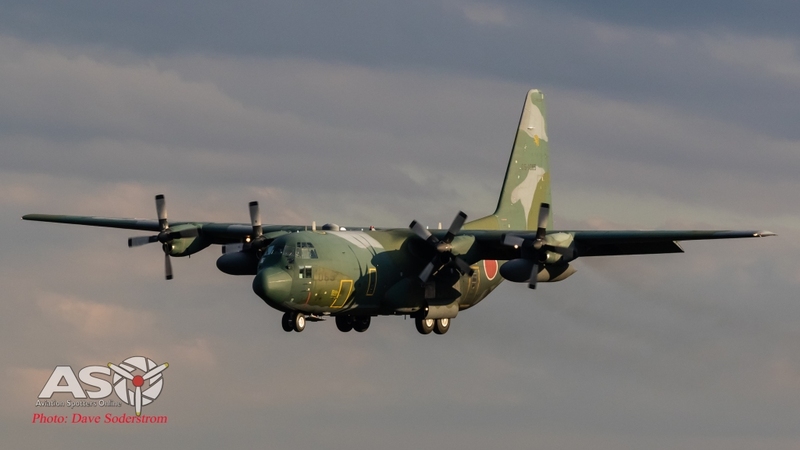 From the 401st Tactical Airlift Squadron (第401飛行隊 dai-yon-zero-ichi-hikoutai). 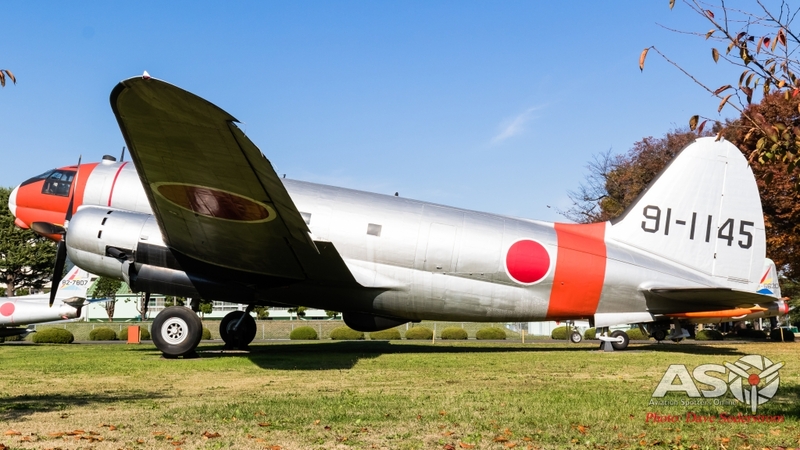 The squadron of the 1st Tactical Airlift Group is based at Komaki Air Base in Aichi Prefecture, Japan. 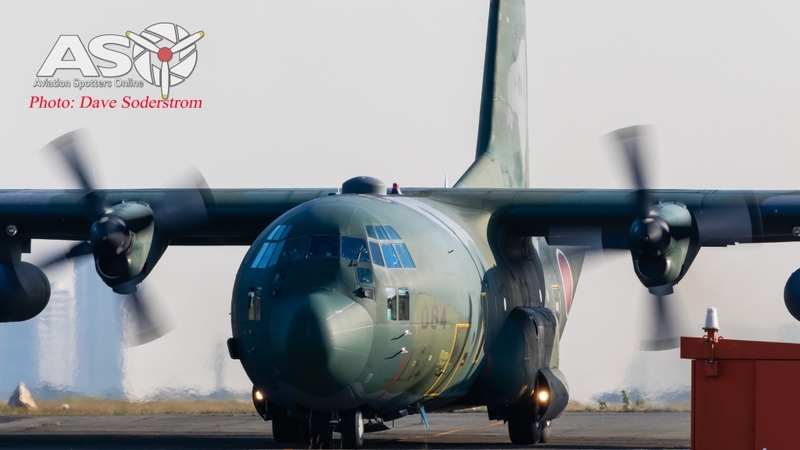 Equipped with Lockheed C-130H Hercules and Lockheed KC-130H Hercules aircraft. Plenty of smoke from the two Ishikawajima-Harima F3-IHI-30 turbofans which produces some 16 kN (3,520 lb) each. 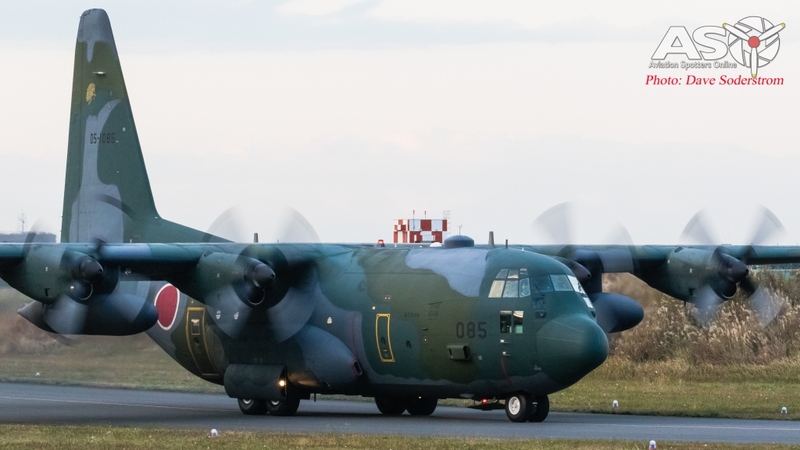 084’s visit was brief, and it wasn’t long before another C-130H was at the base. The tell tail signs of those T-56 engines again, the long trails of black smoke. The EC-2 again returned and proceeded to do several touch and goes before landing back at base. Next up was the return of the last C-1A’s which departed early in the day. And finally the third aircraft I had come to photograph came in to land. 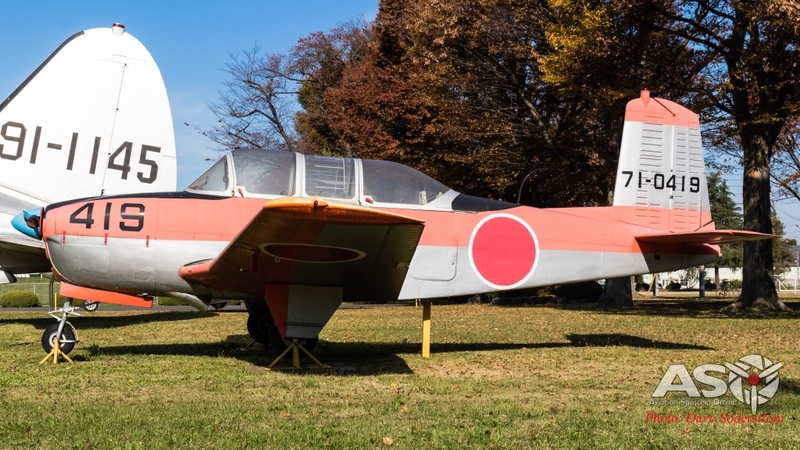 A C-1A in the Kabuki scheme. 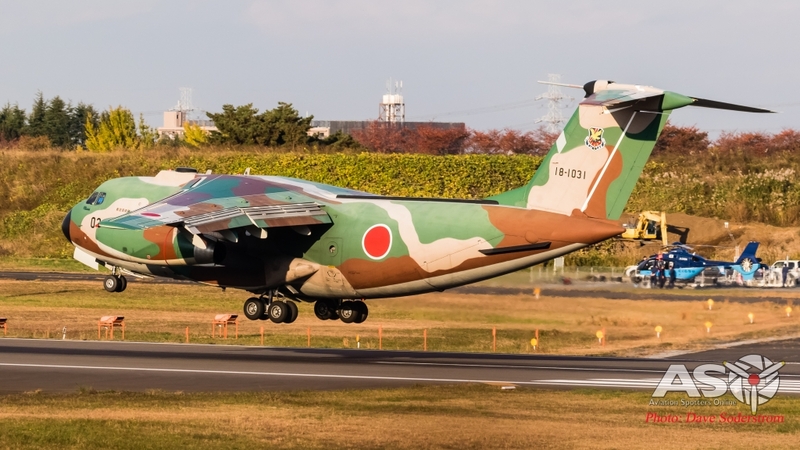 This paint scheme is to celebrate the 2nd Tactical Airlift Group’s 60th anniversary. The theme for the design is called kabuki. 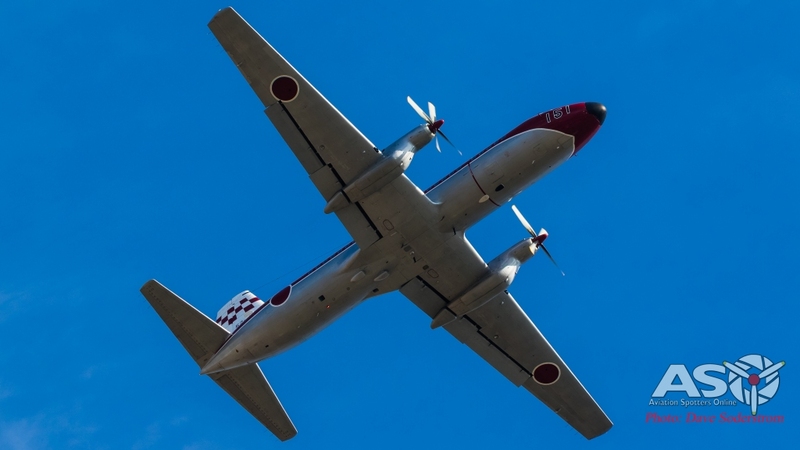 A kabuki actor’s heavy eye make up can be made out around the cockpit windows. 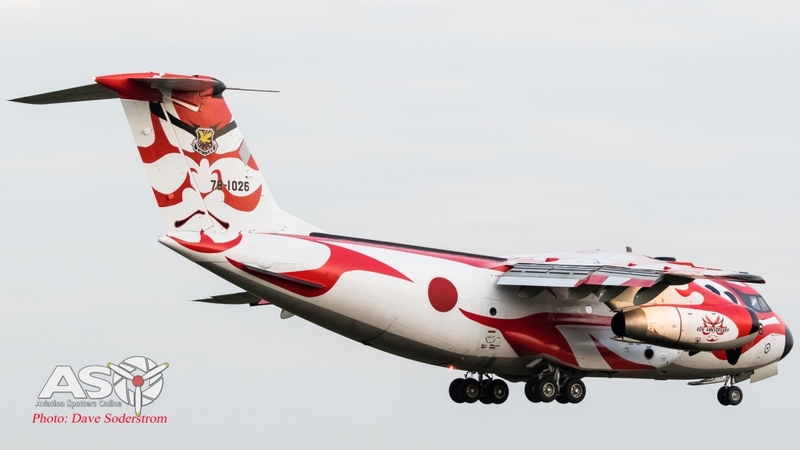 Proposed by a 402nd Squadron flight engineer, Master Sgt Shōta Gotō, the design also features a kabuki actor’s face on the tail, engine nacelles and, on the upper surfaces of the wings. This was my first return to Japan since living in the country for four years many moons ago. It really is a very spotter friendly country. You wont be disappointed with the variety frequency and hospitality of the Japanese people. Getting to and from the bases is quite easy, however I do recommend hiring a car to make it that bit easier again. 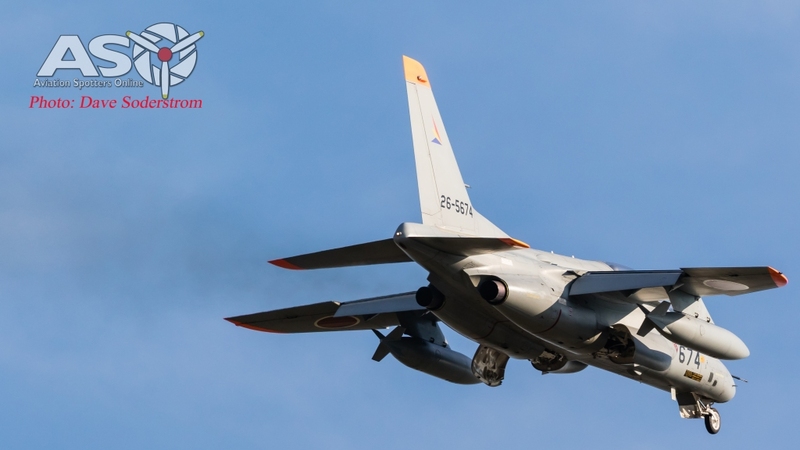 I hope you enjoyed this overview of two days of operations from JASDF Iruma. 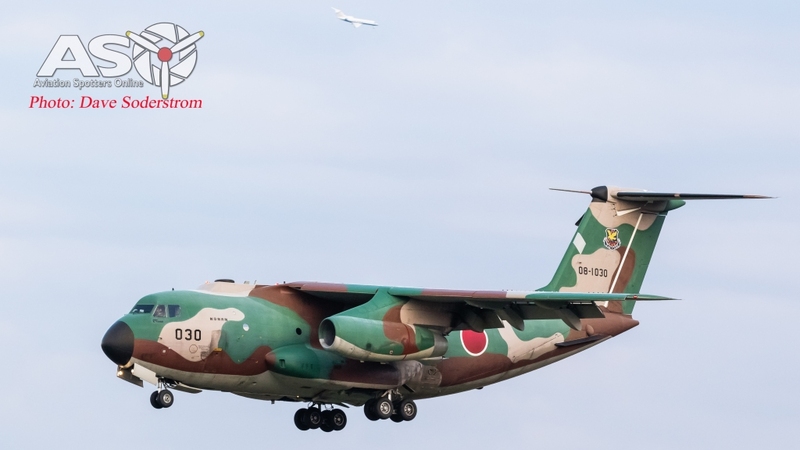 Stay tuned for the next article which cover the Air Show from JASDF Hamamatsu. An excellent story & photos as usual. Well done, looking forward to part 2. That’s some excellent spotting and photography, Dave. Thanks for sharing. The EC-2 is an interesting bird.